The American Pika (Ochonta princeps) is one of the few unproblematic faves we have left. These tiny animals roams the mountainous regions of the western United States, doing absolutely nothing wrong. Seriously, all these little floofs do is munch on wildflowers and grass—the images of which are mind-numbingly cute. But because we cannot have a single nice thing ever, the pika is losing tons of its natural habitat due to global warming. A new study published today in PLOS One reports that pikas have vanished from 165-square-mile span of habitat in California’s northern Sierra Nevada mountains. Typically, pikas live in the lower elevations of these mountains. But as temperatures increase, pikas move further and further up the mountain to escape the heat—and can’t. Even the higher points on the mountain become too hot for the pika, so they become overheated and die. From 2011 to 2016, the study’s authors searched for pikas in this mountainous region, looking for droppings and listening for their calls. Despite finding a ton of pika pellets buried in the ground, they found no living pikas in the region. While pikas can still be found elsewhere, including some areas around Lake Tahoe, the researchers predict that by 2050, climate change could reduce this habitat by 97%. While pikas can be found in other parts of the United States, as far north as the Pacific Northwest, this is a huge blow to their habitat. Losing pikas in the Sierra Nevadas be devastating for many reasons. According to the study’s lead author, Joseph Stewart, a Ph.D. candidate at UC Santa Cruz, pikas are an integral part of their local food chain. The plight of the pika is a stark reminder for all of us to address our part in contributing to climate change. Cute, wildflower-munching pikas don’t deserve to pay the price for our mistakes. 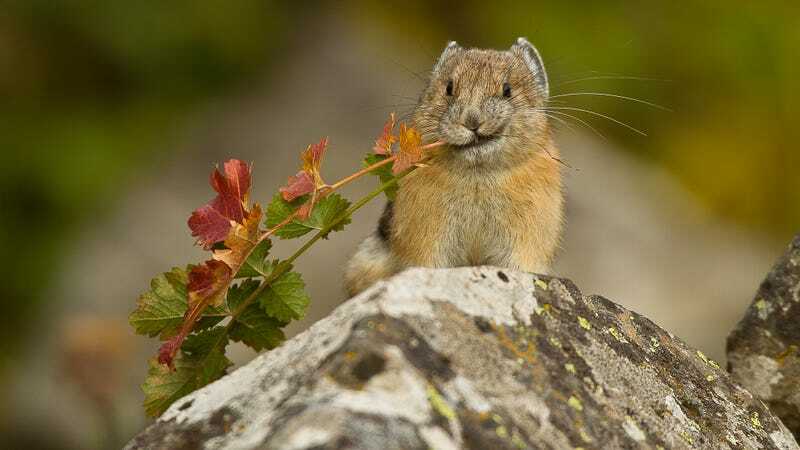 In addition to doing our individual parts to help fight climate change, some groups like the Center for Biological Diversity have called upon government to take a stand and protect the pika. In the past, the pika has been denied protection under the Endangered Species Act, even though it’s long overdue for some help. Seriously, guys. We gotta save this precious flower bunny. If you don’t, I will.